John McKewen grew up in Columbus, Ohio with brother and band mate Daniel. In early middle school, John learned to play the flute and the guitar. 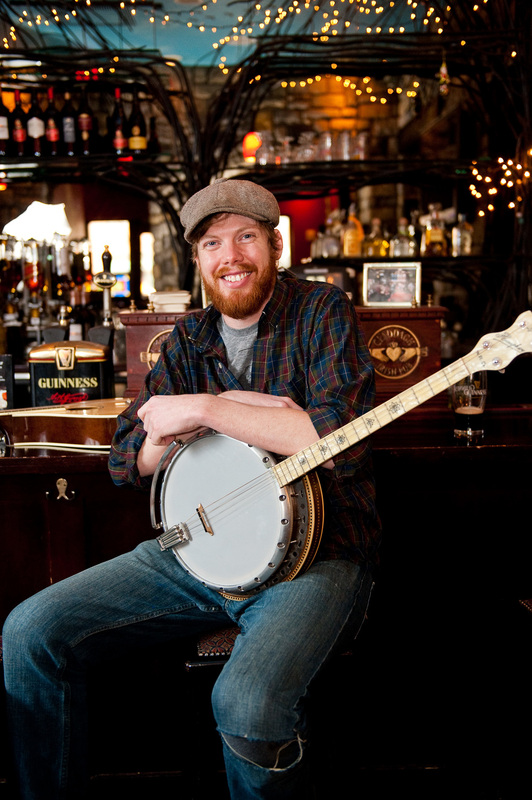 After over a decade of playing in various bands, John broke from his electric guitar, learned to play mandolin, and formed the band The Drowsy Lads with Daniel and Bryan. He has since preferred the Irish Tenor Banjo and Bouzouki and plays a Clareen Banjo from Co. Galway. He loves singing tongue twisters and long complicated Irish songs, especially around a campfire, enjoying the company that good music and friendship afford. As a lover of gardening, reading, traveling, playing music, rock climbing, cycling, and brewing beer, he truly loves being busy with hobbies! John also attends the same bible study as his brother Daniel. John has been married to the love of his life, Andrea, for over 5 years. They have a beautiful little girl named Addie and one due in August of 2017! You can contact John (here) for guitar, tenor banjo, bouzouki, or awesome lessons.